It will focus on conditions in the district, including reservoir levels and snowfall delivered on the spot. It’s coming soon every Wednesday to Central Utah Water Conservancy District’s Facebook page. In the spring, of course, all eyes are on reservoirs. 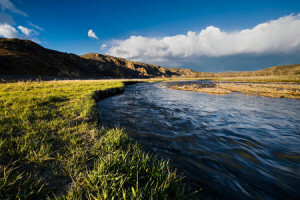 This year in particular, a strong spring run-off has Utahns watching for flash floods and spectacular spills expected at two of the district’s reservoirs. Summer will come with more information about ways to use water wisely. You’ll also get info on water-related activities and recreational updates. Fall is full of back-to-school activities, which are near and dear to Hoyt’s heart. Reservoirs also will reach their lowest point, having been depleted in part from the summer’s increased water demands. That brings us back to winter, when we’ll keep watch again for snowfall. That moisture will fill our reservoirs in the spring and secure our children and grandchildren’s future. Whether you’re a dedicated water-watcher or are just curious, you’ll want to stop by each Wednesday for a fun fact about your own water supply. Water Wednesday is coming to Central Utah Water Conservancy District, and you’re going to be a better water consumer for it!